Students will examine key theories of rehabilitation, behaviour change and change management, and the ways that these theories have and can be applied by leaders in rehabilitation and health to facilitate change at the individual, group, organization and system levels. 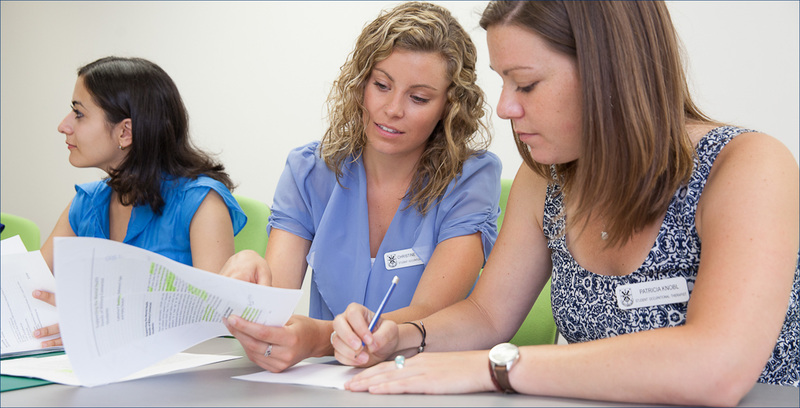 Students will explore the value and process of applying theory to inform rehabilitation leadership practices through case studies, guest lecturers and group work. Students will learn to design and evaluate complex programs that serve people affected by or at risk of disability across a variety of rehabilitation and health settings. Topics covered will include understanding the context/system, needs assessment, integrating research evidence, methods for summative and process evaluations, data analysis, and using theory to guide evaluation models and knowledge translation. This course will use a combination of on-line synchronous seminars, facilitated discussions, self- and peer evaluations, readings and reflective journaling to build capacity to fulfill leadership roles in rehabilitation and health. Students will examine leadership competency frameworks and theories, and apply this knowledge to build and implement a personal leadership development strategy. In this course, students will earn to strategically plan and prepare communications to advocate for new and existing programs and services influencing people affected by or at risk of disability. Topics will include health literacy, strategic writing, media communications, and understanding systems and political contexts. Overarching themes of ethics, cultural diversity and professionalism are embedded into course discussions. Students will develop expertise in preparing different types of funding proposals (e.g., research, philanthropic, community foundation). Students will integrate knowledge related to critical literature review, research methods, strategic communications, and budgeting to prepare competitive funding applications. Students will learn methods to conduct comprehensive and critical reviews of scientific and gray literature and will become skilled in the critical appraisal of qualitative and quantitative literature. Required for Bachelor’s entry students; elective for Master’s entry students. Students will identify a real-world problem in a rehabilitation or health setting, and design, implement and evaluate a process, program or system to address this problem. The dissertation proposal will be publicly defended. The final dissertation will consist a scholarly document that complies with Queen’s School of Graduate Studies regulations, and includes an appendix that contains a knowledge translation product suitable for distribution to a stakeholder audience. This synchronous seminar course will involve readings, on-line presentations by experts on specific emerging issues or controversies relevant to rehabilitation and health leadership, followed by guided critical discussion. Issues addressed with change with each offering. This course will prepare students to competently fill the role of research coordinator or manager in a large multi-project research program. Topics covered include basics of project, budget and human resource management, training and supervising research assistants, preparing ethics applications and monitoring compliance, and tracking and monitoring progress. This course applies leadership practices to the area of facilitating and supporting practice-based research in non-academic settings. Learners will explore methods to incorporate rigor into practice-based research; examine barriers, facilitators and techniques to engage practitioners in research; and scrutinize approaches for building a culture of research in non-academic settings. This course will prepare students to develop and evaluate capacity in others through use of teaching and learning strategies, and community capacity building approaches. Students will critically examine theories and evidence about learning in adults, building community capacity, and measuring individual and program level outcomes. Opportunities to practice specific skills will be embedded in course activities. In this course students will examine the theoretical underpinnings, approaches and specific methods for developing practice excellence and leadership in others. Students will learn and practice techniques for coaching and mentoring, and evaluate their appropriateness for motivating diverse individuals. This course will provide an overview of ethical principles and issues facing leaders in rehabilitation and health. Students will examine these principles and issues and debate the challenges of applying them to service planning, provision and evaluation at the individual, group, organization and system levels. Students will critically examine principles and policies that support adaptation of rehabilitation and health services to meet the needs of diverse populations. Students will consider programs and strategies to promote cultural competence and inclusivity during rehabilitation and health service delivery, as well as programs and strategies that guide equitable hiring practices and disability accommodations in the workplace. An Independent Study allows a student to work under the guidance of a faculty member to develop an individualized learning plan to gain specific knowledge and/or skills in a subject area related to the faculty member’s area of expertise or special interest, which is not offered through existing courses. The Independent Study must be linked to studies in rehabilitation and health leadership but not directly overlap with the student’s applied dissertation work.